Atavai Hotel has 7 rooms in the picturesque Easter island. It has Wi-Fi and striking front garden with lilies and Easter Island sculptures. The rooms in Atavai Hotel have large windows and natural light. All are equipped with private bathroom and views over the Pacific Ocean. Hotel guests can enjoy regional cuisine and exotic cocktails at the bar. 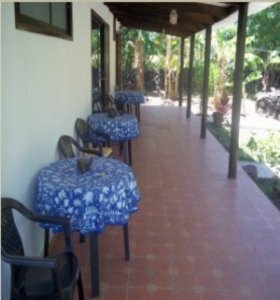 Atavai Hotel is 5 minutes from the airport Mataveri and downtown Hanga Roa. Rate includes: Transfer in/out Mataveri airport (from 10:00 to 20:00 hrs. ; from August 01 to May 01).